Food waste anaerobic digestion is often said to be an established “good thing”. This is supported by government policy, but almost no-one seemed to be explaining why! 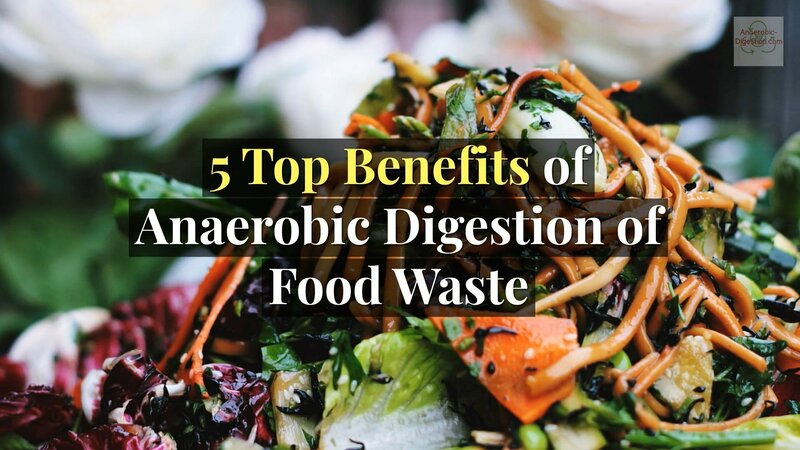 That’s why we made our short video titled: “5 Top Benefits of Anaerobic Digestion of Food Waste“, and we have gone further into more detail in this article. If you are interested in seeing the case for Food Waste Anaerobic Digestion, watch our short video below, and afterwards stay here, SCROLL DOWN PAST THE VIDEO, and read-on! Most municipalities are investing in ways to divert materials from landfills. This is usually due to recycling and sustainability targets. There may also be a reduced availability of landfill space, and a need to eek-out existing landfill capacity to last as long as possible. Food waste in landfills generates methane, a potent greenhouse gas. 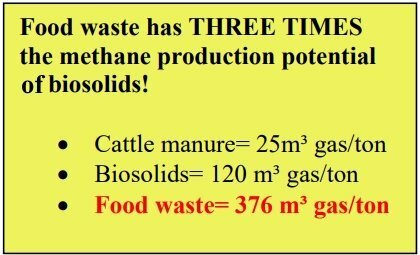 Diverting food waste from landfills to anaerobic digestion/ biogas facilities allows for the most efficient capture of the methane. This is important because methane lost into the atmosphere is said to be a significant greenhouse gas acting as a contributory cause of climate change. Food waste is high calorie waste. It makes more biogas per unit weight than almost any other biomass feedstock. There is a growing demand for biogas (biomethane) which can be used as an energy source. In urban areas there is also an urgent need to reduce air pollution from transport vehicles. Biogas (methane) burns clean, producing very low air pollution. It is as a result, ideal for use to power transport vehicles, especially in heavy air-pollution cities. It will still take many years before batteries are capable of holding a charge large enough to power a bus to service a bus route for 10 to 12 operational hours a day. The technology to run buses on renewable compressed natural gas (RNG) is available right now. Running Anaerobic Digestion Facilities can produce good profits, under the right regulatory regimes. These include reduced energy costs due to production of on-site power, and tipping fees for accepting the food waste. Many nations have introduced a landfill tax. Under free-market conditions it should be possible, where there is a landfill tax, to attract food waste at a profitable gate fee, just below the gate fee cost of land-filling. It my still be possible to make profits in jurisdictions where there is no landfill tax, but the business model needed to achieve that will need to be ingenious one. Anaerobic digestion results in the output of a liquid and fibrous fertiliser (digestate), which when this is used on the land can be instrumental in restoring the micro-structure of the soil, and recycling vital nutrients such as phosphorus. The use of chemical fertilisers on farmland tends to degrade soil quality. In many countries soil quality has become dangerously low. many predict that soil quality over vast areas will soon cease to support crop productivity within the foreseeable future, unless soil improvement can be achieved. Treating waste through our anaerobic digestion process is significantly cheaper than sending it to a landfill site or a composting plant. We have developed our systems so we can process waste for around a third of the cost of sending it to landfill, ensuring that your disposal costs are greatly reduced. Nearly all food waste streams that are sent to landfill can be processed through the AD process but if you’re unsure if your waste is suitable then please get in touch. 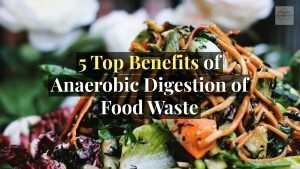 One advantage of disposing of your food waste via Anaerobic Digestion is how cost-effective it is. Food waste weighs considerably more than other comparative waste streams such as general waste or mixed recyclables. This means that by recycling your food waste and sending less to landfill you could significantly cut the amount of landfill tax you have to pay. Furthermore, this could lead to a substantial reduction in the size and frequency of your general waste collection needs. 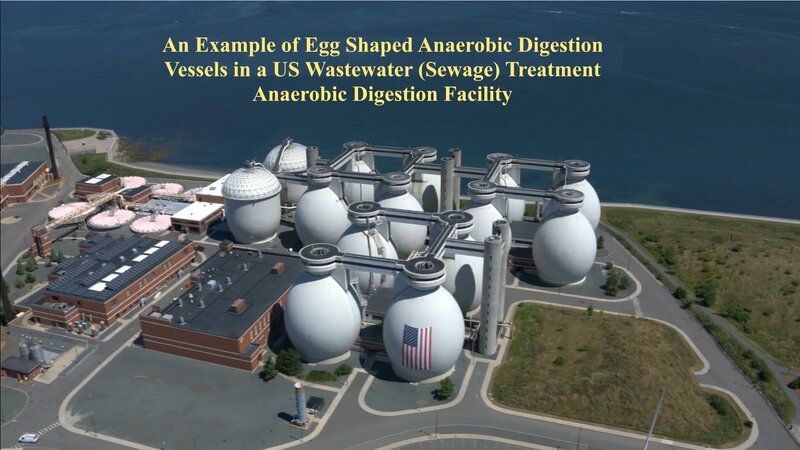 The environmental implications of Anaerobic Digestion are manifold. Unfortunately, at the moment the majority of food is sent to landfill, where as it biodegrades it releases harmful greenhouse gases, such as carbon dioxide and methane, which contribute to climate change. Due to this pollution it is widely expected that Government will ban food waste from landfill in the near future. By recycling your food waste you can reduce the amount of food sent to landfill and reduce your carbon footprint. The Friends of the Earth pointed out some years ago that a significant percentage, of electricity generation in the UK (and in most other developed countries), could be generated by food waste Anaerobic Digestion. This would be the case if all source separated household waste, such as food waste was collected nationwide. They went on to say that even more could be generated with non-household waste streams, such as food waste from restaurants, caféteria and retailers. Click to enlarge this image. There is a big opportunity in the US, which is gradualy being utilised. That’s to co-digest food waste in existing AD plants, where sewage treatment plants have already been fitted with anaerobic digestion facilities to treat the sewage sludge. The win-win available here, it to get them to take in food waste, and then build many more. 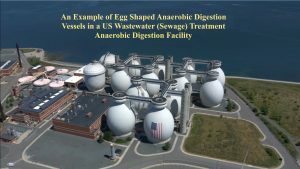 About 15 wastewater treatment facilities in the U.S. are engaged in this practice — a small number, but that’s up from one or two about a decade ago, according to the American Biogas Council. Following the lead of Europe — which is increasingly either composting its food waste, incinerating it, or processing it in biodigesters — more U.S. cities are trying new ways to harvest energy from food that otherwise would have rotted in landfills and emitted methane, a powerful greenhouse gas. Co-digestion is a process whereby energy-rich organic waste materials (e.g. Fats, Oils, and Grease (FOG) and/or food scraps) are added to dairy or wastewater digesters with excess capacity. 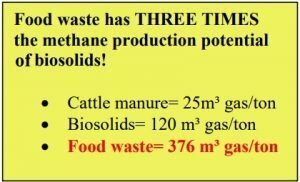 In addition to diverting food waste and FOG from landfills and the public sewer lines, these high-energy materials have at least three times the methane production potential (e.g. biogas) of biosolids and manure.